EgretiaWallet is a web-side wallet provided to developers by Egretia team.The different between blockchain&apos;s game development and troditional game development is that blockchain games need to interact with the blockchain often, so they often deal with wallets. 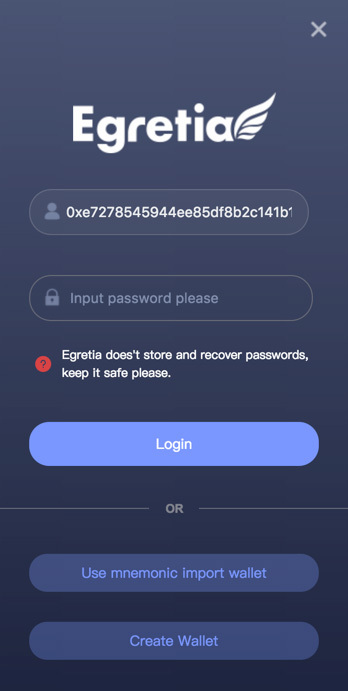 Although third-party wallets such as Metamask are available on the market, it is not very convenient for Egretia workflows, so the Egretia team developed the local debug wallet EgretiaWallet. 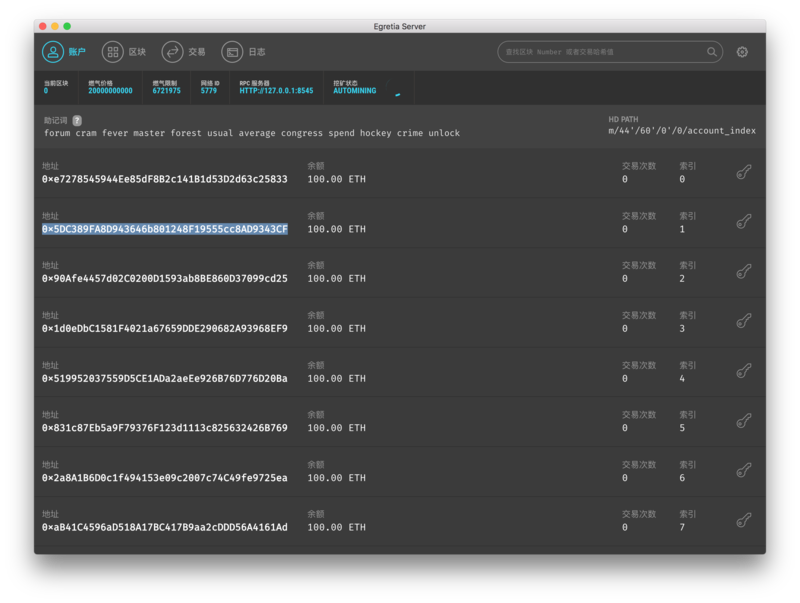 During the development process of blockchain games, EgretiaWallet is embedded into the game so that it can be easily used when debugging the game. EgretiaWallet login is currently divided into two steps. 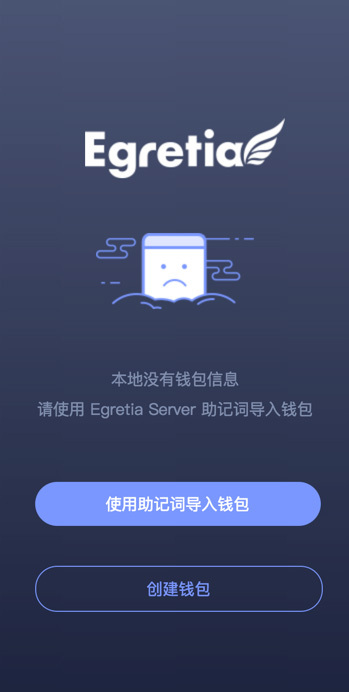 The first step is to use Egretia Server mnemonics. The second step is to use password to log in. And then input mnemonics and password, which is the password that will later be used to login to EgretiaWallet. 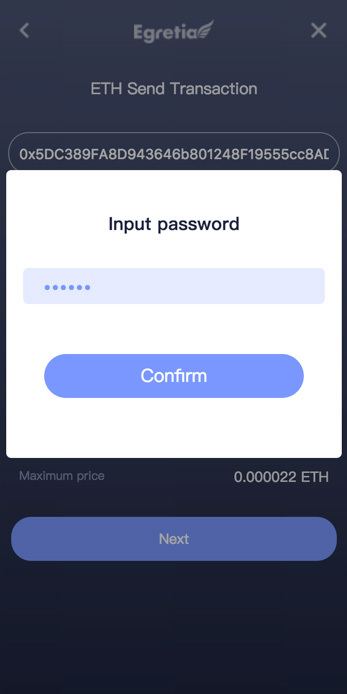 After first login, you only need to use the password login your wallet. 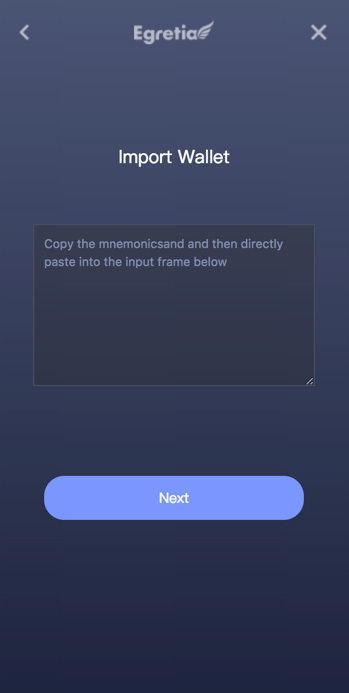 Of course, the developer can use the mnemonic to re-import the wallet at any time. 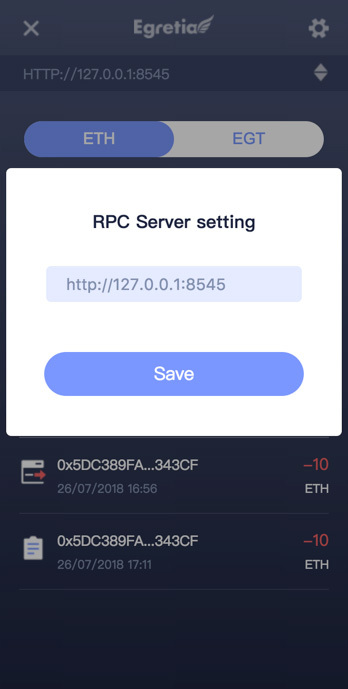 The address of the Egretia Server RPC server can be set in the settings of Egretia Server. EgretiaWallet needs to set this address to work normally. 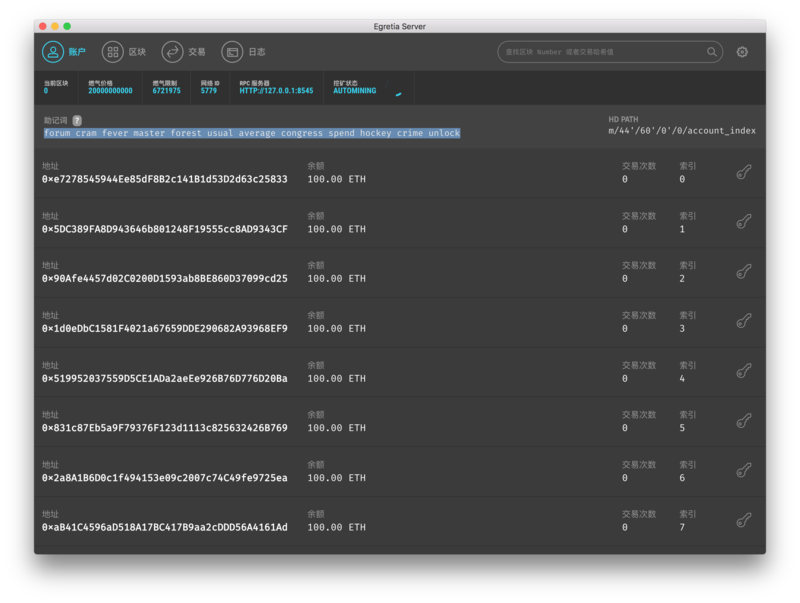 Through Egretia Server get RPC address. 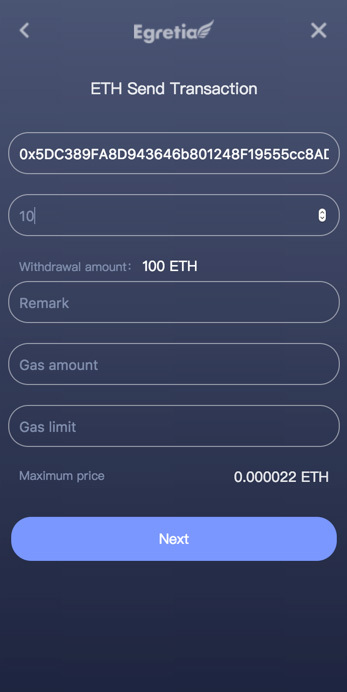 After the wallet is login successfully, you can check the current balance and the corresponding US dollar. Of course, the developer can make a transfer. 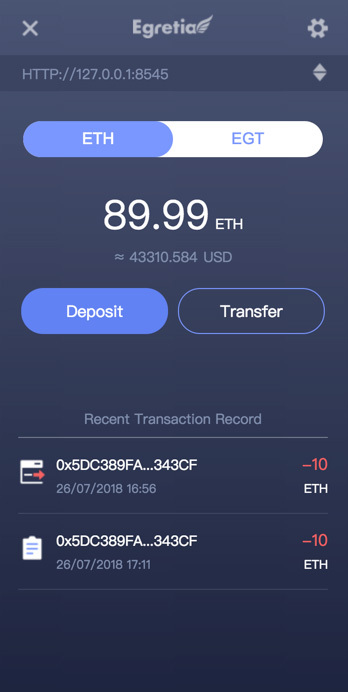 For example, the developer transfers 10ETH from the address 0x939493274924093 to 0x939493274924093. First click transfer input 10 and then click sumbit,final input password. 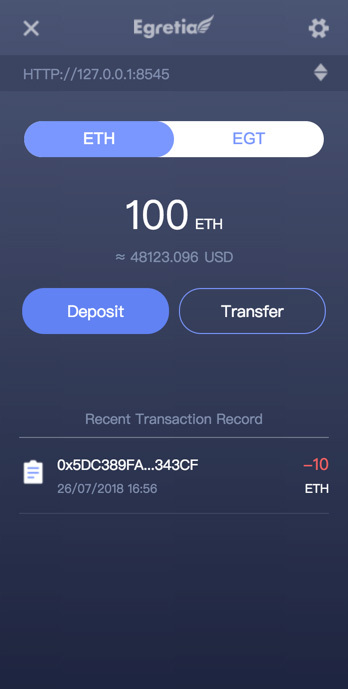 that all is EgretiaWallet basic function,but how to interactive between game and EgretiaWallet?The above describes the basic functions of EgretiaWallet, and how does the game interact with EgretiaWallet? Take the AVG as an example. 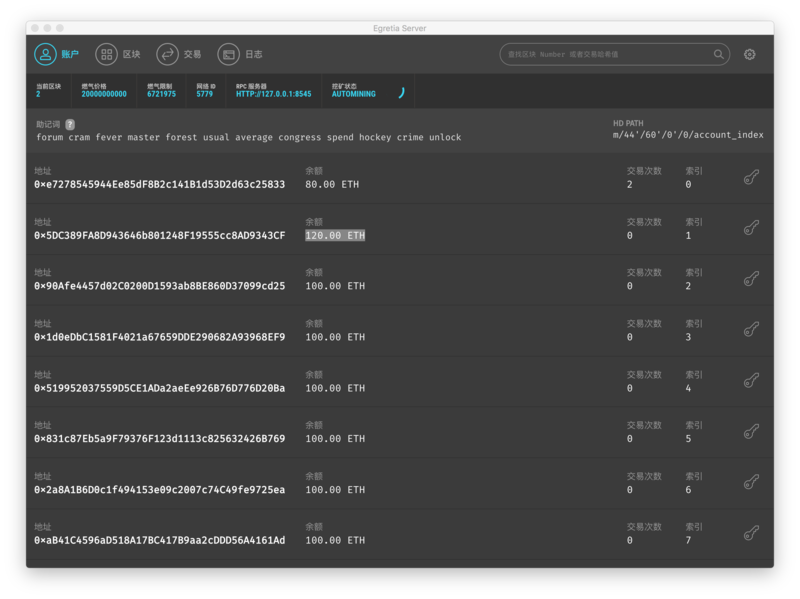 We purchase 0.5 Huanhundan,that need a ETH,click the button. A EgretiaWallet confirmation window pops up. Enter the password.